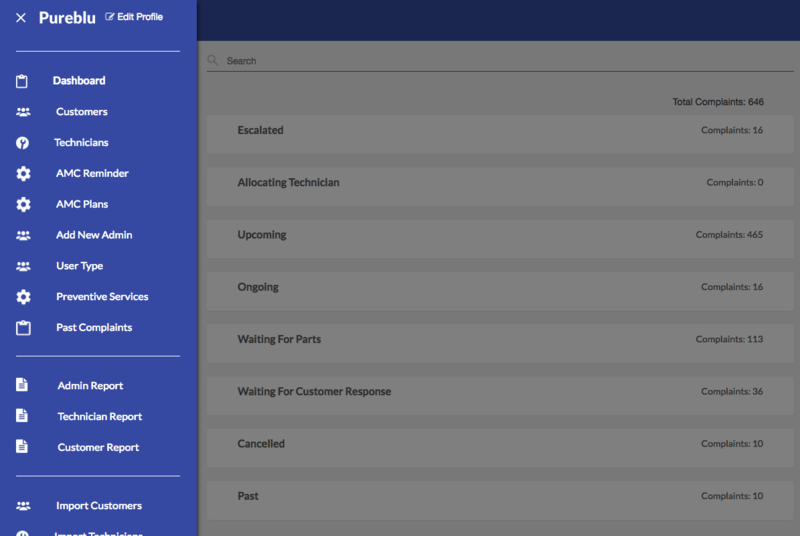 The Pureblu Technician app allows your technicians to quickly respond to customer issues and submit reports. 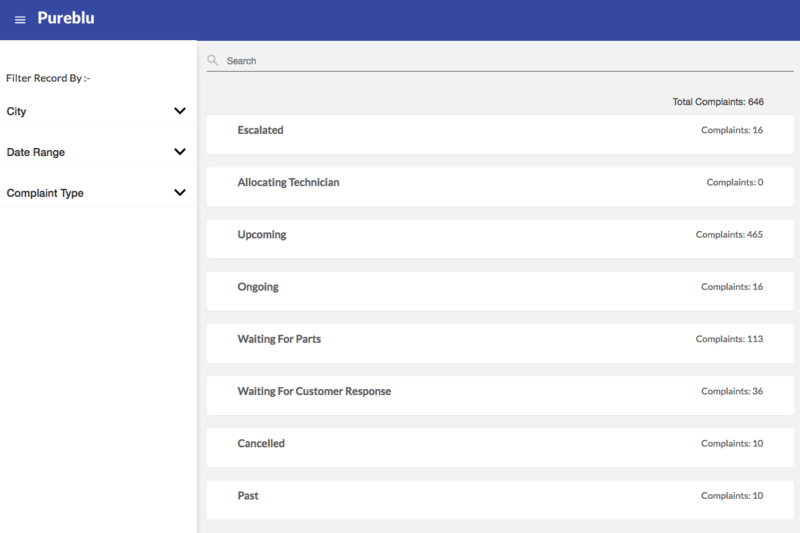 With the dashboard admin interface you will know exactly the status of your customer complaints. 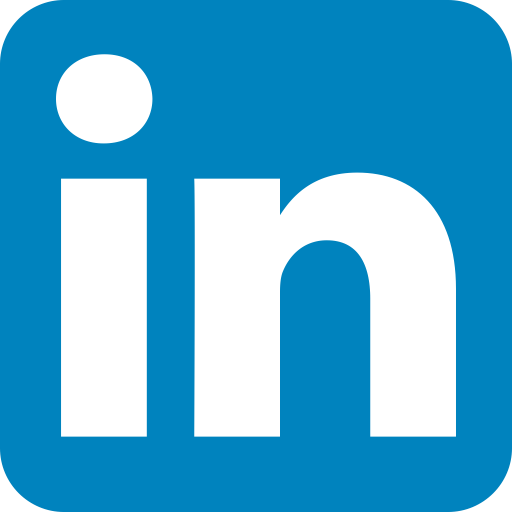 Pureblu is a SaaS (Software as a Service) platform for the air conditioning industry. 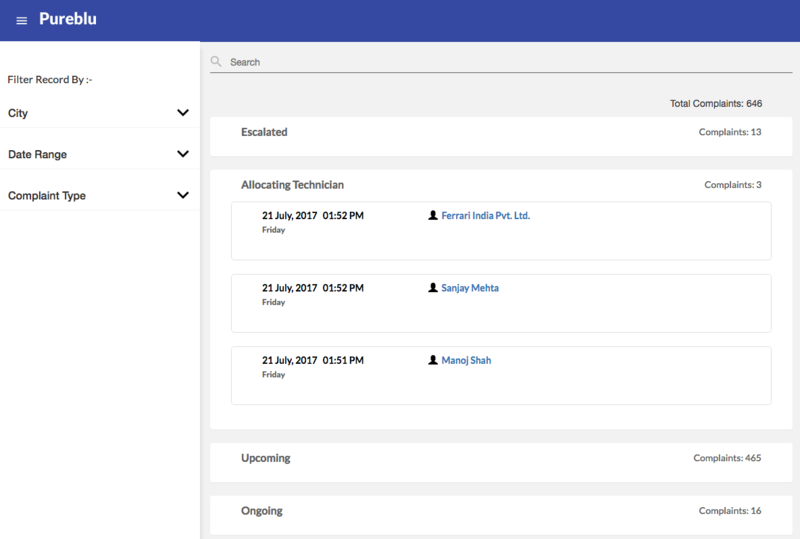 Pureblu helps map the job allocation, availability of the technicians and the calls being managed by the technician. 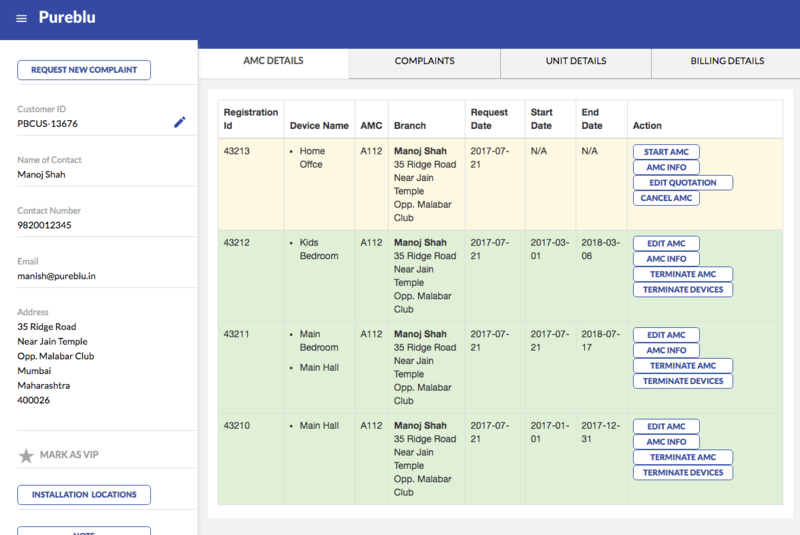 Pureblu helps plan the technician schedule and provides a dashboard to manage customer complaints, preventive services and the machines that come to the service center for repairs. The Annual Maintenance Contract (AMC) is the lifeline for any air conditioning services business. Pureblu helps manage customer records and the history of the machine. Pureblu helps you plan preventative services based on geolocation thereby ensuring that technicians can handle more calls in a day and ensure better productivity per technician per day. 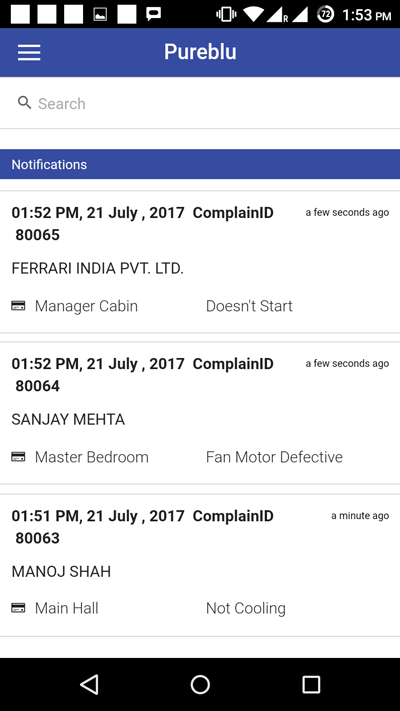 Every complaint from a customer is registered thru a simple three step process and the complaint is sent to the technician based on their skill level via the technician app. The complaints are auto allocated by the system based on the earliest possible time the technician can reach the customer site. Pureblu helps manage retrofit/repair quotes and help increase revenue on sale of spare parts and services . 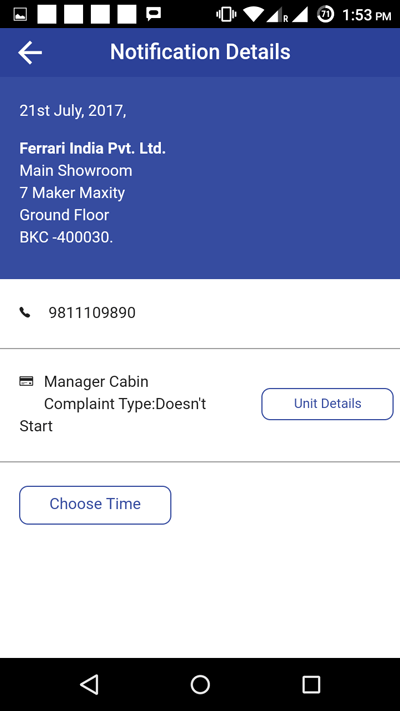 Pureblu helps keep track of the various quotations that is sent to customers and help set reminders to follow up and increase service revenue. 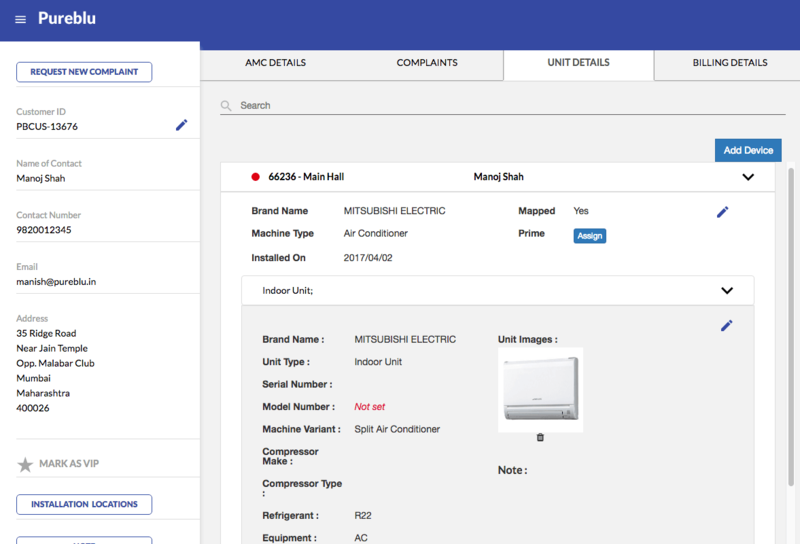 Pureblu generates reports which helps to identify technician productivity, admin productivity, equiment history and ageing which helps increase sales through timely replacements of airconditioning equipment. There are many more features available and we are frequently adding new features as well. Simplicity and ease of use was the number 1 mission. A Pureblu Prime membership is for customers who need to manage their air conditioning systems at various locations within the city or across the country. Prime gives them a consolidated real-time view of their trouble tickets and preventative services of their air conditioning systems. 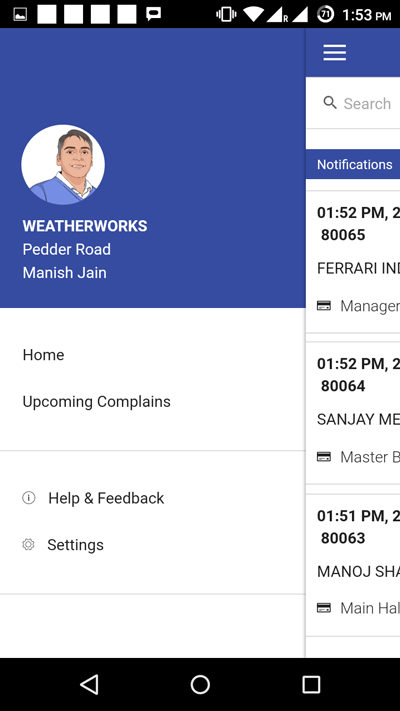 Businesses with multiple locations across India can now manage their air conditioning facilities and multiple service providers through a single dashboard. They can keep track of their multiple customers air conditioning trouble tickets, preventative services and AMC renewals across India handled by multiple vendors through a single login with a consolidated view. Can manage their warranty services and AMC business across different customers and different service dealers through a single login which gives a consolidated view of all their air conditioning systems. Having been in the air conditioning services business for over 25 years, Pureblu was born from a need of the industry. The industry currently has many challenges including the ability to efficiently manage their technical resources to keep costs low. Ajit has been in the field of Sales and Marketing for over 15 years with various corporate enterprises before venturing into entrepreneurship assignment in the year 2000. Currently the CEO/ Co owner of Nova Group Of Companies a 38 year old company managing air-conditioning services and HVAC projects. Nova was the sole India representative for Mitsubishi Electric air conditioners in India and build a pan Indian distribution network for the brand for over 12 years before successfully handing it over to their subsidiary company in India. Currently, Ajit is the President of The Refrigeration and Air Conditioning Trade Association (RATA) in India. 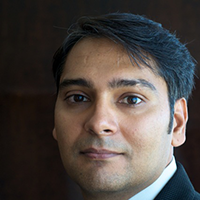 Manish is responsible for the technology stack and technology partnerships at Pureblu. He advises many startups on their strategy, technology adoption and customer experiences. He currently is the co-founder of MProfit Software a portfolio management software company based in Mumbai. 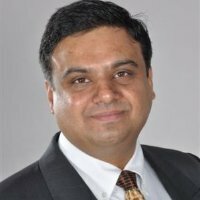 Manish gained his technical skills while working with companies such as Accenture and Cisco Systems. He also co-founded the largest matrimonial portal shaadi.com in 1996 and exited in 2000. Since 2005, he has been based in Mumbai to focus on technology driven ventures. He holds a Bachelor’s degree in Business from Indiana University located in Bloomington, Indiana. 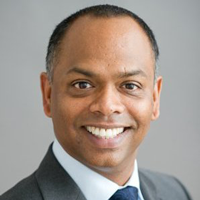 Dharm is the Vice-President – Marketing for Thirdware, Dharm brings more than 24 years of experience in the areas of customer acquisition, consulting, design and implementation of enterprise applications across various industries and Fortune 100 companies across the globe. He has spent a significant portion of his career working with clients like Ford Motor Company and Unilever across their business units in North America, South Africa and Asia - successfully launching enterprise applications and helping their IT organizations deliver key initiatives. An MBA from the Stephen M. Ross School of Business at the University of Michigan, Dharm lives in Ann Arbor, Michigan. He is avid photographer, he loves cricket and basketball. Pureblu pricing is transparent and simple. June 2018 - Pureblu is mentioned in the Air Conditioning and Refrigeration Journal. Click for article. April 2018 - Pureblu is featured in CIO Review magazine as one of the most promising SaaS startups for 2018. Click for article.